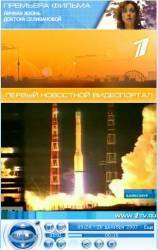 The Russian Space Forces are continuing efforts to bring the final two GLONASS spacecraft launched December 25 into operation. One of the trio of satellites (SV798 in slot 19) went on the air in late January. Reports from the Russian news agency RIA Novosti, quoting Russian space officials, subsequently attributed the delay to frozen fuel lines in the satellites. However, that problem may be resolving itself. According to NORAD, the other two satellites are being moved into their orbital slots in the constellation. If the spacecraft can be brought on-line, GLONASS would have 16 operational satellites, including four of the modernized versions, GLONASS-M.
Russia plans to have 18 operational satellites in orbit by 2008 and is considering accelerating the completion of the constellation. The sustained revitalization of the Russian program, which had dwindled to seven satellites in 2001, has encouraged two GNSS manufacturers — NovAtel and Trimble — to announce the availability of combined GPS/GLONASS receivers, joining Javad Navigation Systems and Topcon with GLONASS-capable equipment in the commercial market. (See articles in Industry View in March 2006 Inside GNSS magazine).